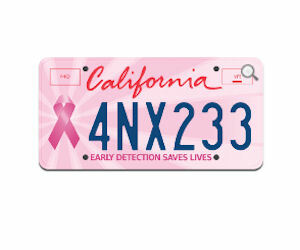 Be one of the first to get a free Pink Ribbon License Plate - a $50 value! Add the 'Letters Picked at Random' and apply the code: PINK at checkout to make it free! Valid for California residents only.